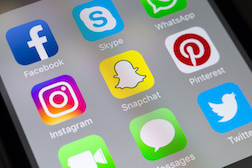 Should Your Law Firm Be on Snapchat? Yes! Snapchat is an app that has taken off fast, and it consistently maintains its unique point of view in the vast landscape of social media. The image-messaging app is known for allowing users to send transient pictures and messages that are auto-delete after a short period of time. It is perceived as representing a new direction in social media, with its users wanting a more fleeting and authentic means of expression, instead of an accumulation of ongoing status updates leaving a permanent trail. Against this backdrop, law firms might consider Snapchat to be an immature and unprofessional platform. However, the app continues to broaden its scope, its user base is steadily growing “older,” and more established brands are beginning to take advantage. It also presents some unique opportunities for law firms to market their brand, if used correctly. 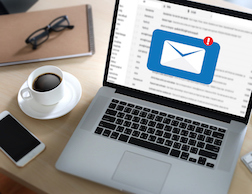 Let’s be honest, when you think about email marketing, you probably think about those irritating emails that you delete before your eyes finish scanning the subject line. Email marketing campaigns tend to be spammy and irritating. But when done right, they can offer something that grabs a recipient’s attention and provides them with something useful. A successful email marketing campaign will keep your firm’s name in clients’ minds and keep them coming back and even making referrals. Email marketing is something that really, really needs to be done right, or it shouldn’t be done at all. The bottom line is that you need to offer something to recipients to prevent them from hitting the unsubscribe button. 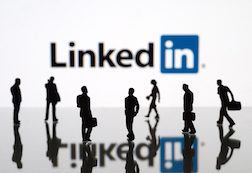 A couple of years ago there was a widely popular meme circulating about LinkedIn for lawyers. It accurately depicts the discord between what prospective clients actually want to know, and the bland resume stats most lawyers actually put on their profiles. It is time for lawyers to pay more attention about their profiles, and think outside of the box. A recent study has shown that LinkedIn is the primary source that prospective clients go to when they want to learn about an attorney they are considering hiring. Is Your Law Firm on Instagram? Instagram is one of the leading social media platforms. It has a hip image, and continues to stay cutting edge by utilizing the hottest features offered by Snapchat. These days, it seems like everybody is “doing it for the Gram” (i.e. doing things just to get an Instagram photo and likes out of it. Who doesn’t want likes?). As of June 2017, the social media giant boasts around 700 million active users. Instagram is largely a community of millennials and young people, but the business world continues to break through and find ways to harness its power and exploit its base. 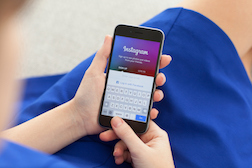 There are some general tips that law firms can follow to transform Instagram into a powerful marketing tool, but also some important factors to be taken into consideration. 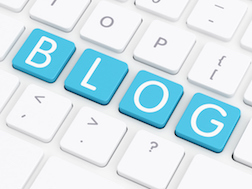 Guest bloggers can provide benefits for firms that already have an established online presence. Before considering hosting a guest blogger, make sure your blog already has a strong “personality,” or voice of its own. You should already have a website with your own domain name featuring high quality content, a social media presence, and curated profiles on legal services review sites such as Avvo. Guest bloggers can drive traffic to your site, so you want to make sure you have a solid presence when people get to your doorstep.